Las Vegas moms discuss their concerns about CCSD and the education system in Southern Nevada. We love living in Southern Nevada. We have great weather, great entertainment, and a great lifestyle. But when it comes to education, we are consistently at the bottom of the nation. From graduation rates to school funding, we need to raise the bar. We sat down with parents to get their thoughts. Parent Maylene Battjes had nothing but praise for teachers. "I think there are a lot of phenomenal teachers in Clark County. And I think that we tend to forget that sometimes. We look at test scores as a whole versus individual teachers doing a remarkable job." 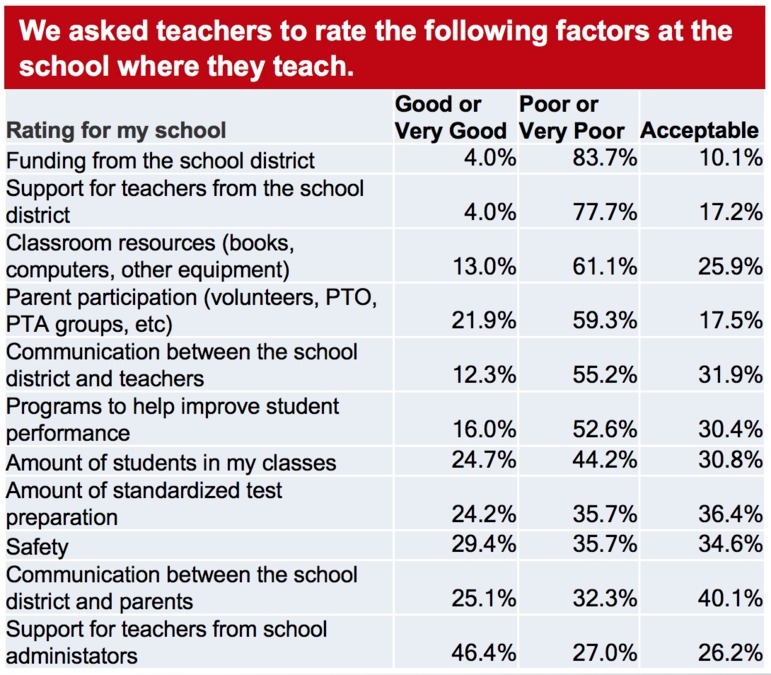 Overall, the parents we spoke with gave a thumbs up to the quality of teachers. But they say overcrowded classrooms are making their jobs impossible. It's a shock to military mom Kelly Sellers, who has lived all over the country. "The ratio is out of control. A lot of other states just don't allow that. I mean it's just not even allowed!" Battjes agrees. She used to teach middle school English for Clark County School District. "It is not uncommon in middle school to have a teacher with 40 plus students in a classroom. There comes a point where at no fault of the teacher, it becomes crowd control versus let's teach these kids." While these parents had big praise for teachers, they gave parents a thumbs down. They say too few parents are involved in their child's education. They don't participate in the PTA, or volunteer in the classrooms. Many parents don't even help with homework. They say even working parents can take time to log on to CCSD's online communications tool, Parent Portal. Mom Kristen Tschopp uses it daily. "I check campus portal all the time. That's available to every parent. If something is not turned in or there is a poor grade I want to know why. And that's available to everybody." How many thumbs down can these parents give for funding? It's one reason Battjes put her kids into a tuition-free charter school. They get the same per-pupil funding but somehow manage to keep and encourage the arts. "All my children will learn to play the violin. And no cost to me. Starting in kindergarten they are learning Spanish. They are going on multiple field trips. All of those things enrich their learning." These parents wonder why CCSD is cutting all of these programs. And they question whether the district is truly underfunded, or whether funds are being misspent. What is CCSD doing right? In addition to hiring quality teachers, our parents are impressed by the magnet programs. Tschopp has her son heading to a magnet high school. And he just wrapped up a phenomenal middle school career in a magnet program. CCSD's magnet programs have high graduation rates, high test scores, and are recognized nationally. 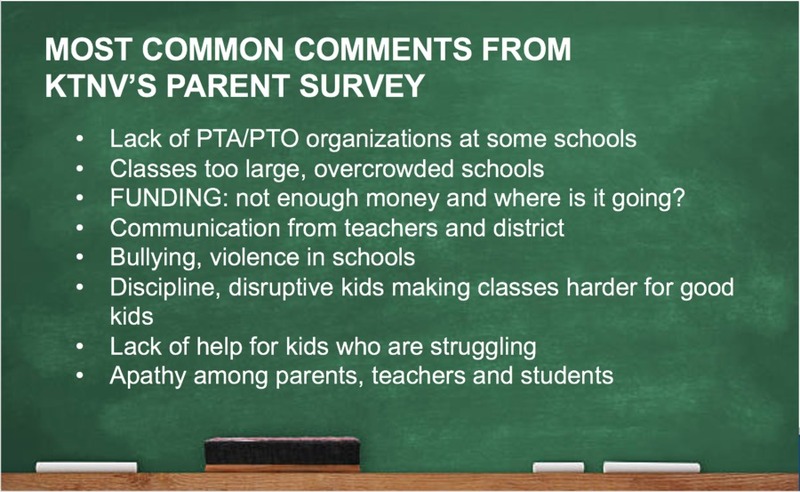 In February 2018 KTNV did an online survey of 328 parents and a separate survey of 1,328 teachers in Clark County. 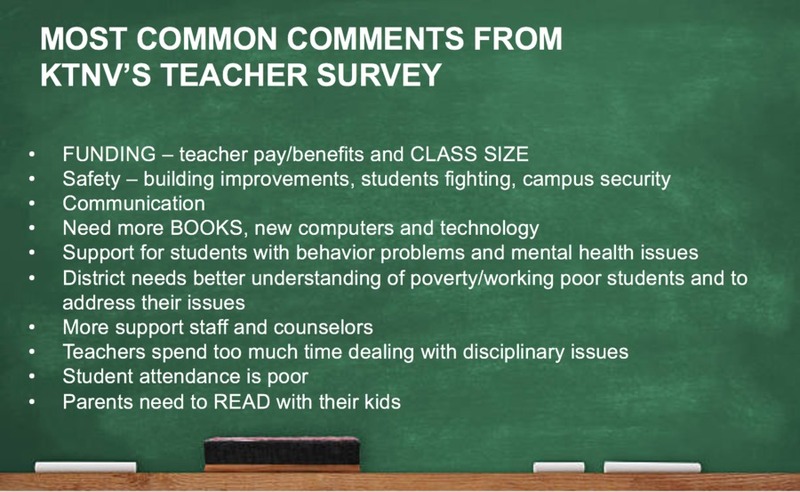 Here are some of the key findings.